A bulk order of Stainless Steel Verder pumps for a customer in the North of England. The application was to pump away a mixture of chemicals from wash and cleaning cycles in a factory. The customer had not used AODD’s for this application before, but had many on site for other applications. As compressed air was already available and the customers’ preferred power supply – Air Operated Double Diaphragm pumps were the way to go! The diaphragms and valve balls in this instance were PTFE, in order to satisfy the need for chemical resistance. 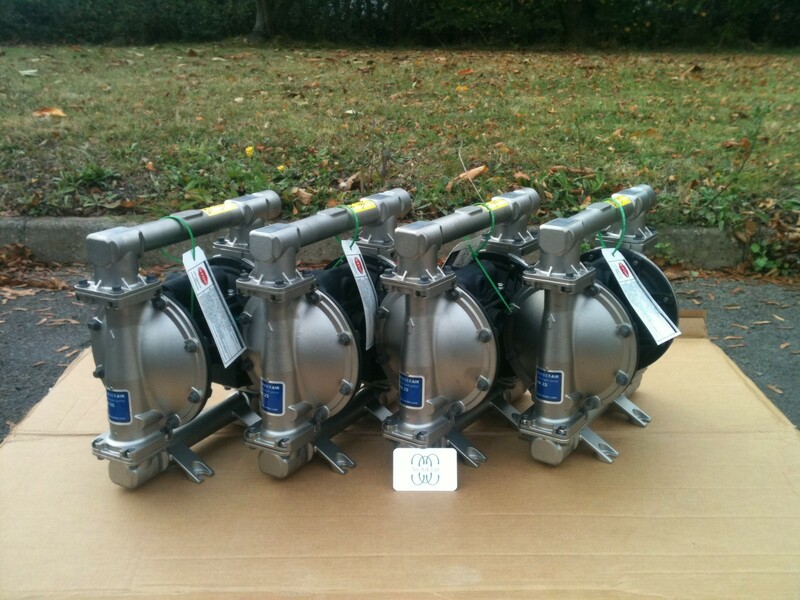 These Verder pumps have a maximum capacity of 189 LPM and a maximum solid handling of 3.2mm. 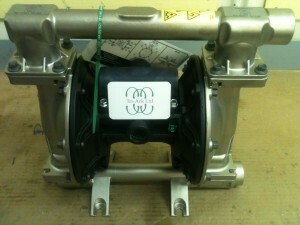 They are 1″ BSP threaded and ATEX rated Ex II 2 GD c IIC T4. AODD’s are self-priming and can run dry without causing any damage, which was an important factor for this particular customer. At Tri-Ark Ltd, we are Air Operated Double Diaphragm pump specialists. We can help you select the best pump for your application. Please call us on 01621 781144 or email us at sales@tri-ark.com with your enquiries. We look forward to hearing from you soon.